Order cake online in Chandigarh or send flowers to Chandigarh from Wish A Cupcake and get free home delivery to Chandigarh. Looking for a delicious cake in Chandigarh, or want to send flowers to Chandigarh? Wish A Cupcake offers premium quality cakes and flowers delivered to your doorstep. Order a freshly baked cake or flowers for delivery across Chandigarh. Our bakery products now come in eggless cake options. Our home delivery services make it easier than ever for you to order a cake online, or buy flowers online. Wish A Cupcake offers one of the best and top quality cakes in Chandigarh and flowers in Chandigarh. Our attention is towards excellence and freshness of cakes and flowers. Daily discounts are available on our collection of cakes and flowers meant for all occasions and events. You’ll be able to purchase your cake online for delivery in Chandigarh, and also send flowers online in Chandigarh. Place your order now for delivery anywhere in Chandigarh! Same day cake delivery. Send cakes to Chandigarh. Buy and send a cake to Chandigarh with Wish A Cupcake. We offer free home delivery of cakes in Chandigarh. Feel free to order a birthday cake, wedding cake, corporate cake, anniversary cake, cake for parties and special events. Our online cake delivery services ensure same day and midnight cake delivery in Chandigarh. Buy and send flowers to Chandigarh with Wish A Cupcake. We offer free home delivery of flowers in Chandigarh. Feel free to order flowers for birthdays, flowers for weddings, corporate flowers, flowers for anniversary, flowers for parties and special events. Our online flower delivery services ensure same day and midnight flower delivery in Chandigarh. Order cake online in Chandigarh and send wishes to friends and relatives living in Chandigarh city. We have a large variety of cakes for occasions like birthday and anniversary cakes at Wish A Cupcake. 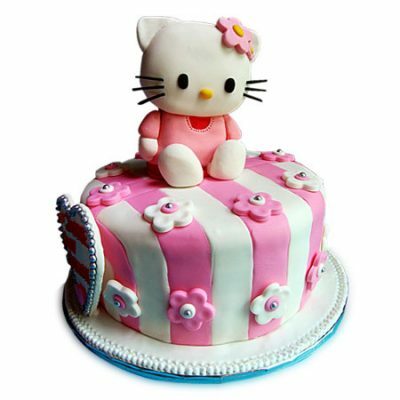 Send cakes to Chandigarh online from across all regions in Chandigarh and even in other states in India. We have a wide range of regular cakes that include Black forest cakes, chocolate truffle cake, pineapple cake, butterscotch cake, vanilla cake fruit cake and much more. These cakes are evergreen and are loved by almost everyone. All cakes available on our website are baked with fresh ingredients and that is rich quality. Make the occasion festive with our adorned desserts that are available for same day delivery in Chandigarh. Cakes are sweet desserts and an important part of any celebrations. At Wish A Cupcake you will come across cakes that are made by skilled bakers and have a unique design and scrumptious flavors. Among our chocolate truffle cake is the most popular which is a sure shot delight for all of you. These cakes are exclusively decorated and are the most spectacular gift for any person. With our fast delivery services, you can get cake delivery in Chandigarh right at your doorstep. Send cakes to Chandigarh, Pune, Mumbai, Gurgaon, Noida and any other city in India. We give options to the customer for midnight and same day cake delivery in Chandigarh. Send cakes even at midnight sharp or at other fixed time and we assure the freshness and quality of the cake. Make every moment special Wish A Cupcake by adding the touch of deliciousness. For assistance, feel free to speak to our customer care representatives. Happy Ordering!